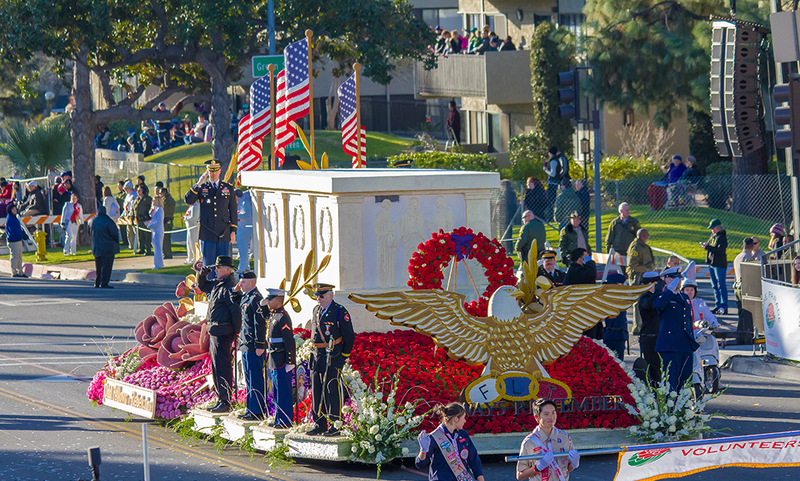 Our 2015 float depicted the Tomb of the Unknowns monument at Arlington National Cemetery in Virginia. 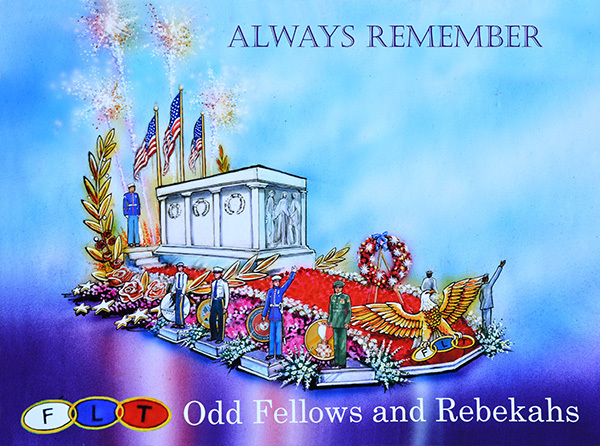 For over 80 years Odd Fellows have conducted a Pilgrimage to the Tomb of the Unknowns during which we lay a wreath. 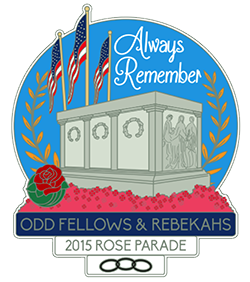 On January 1, 2015 the Odd Fellows Rebekahs Tournament of Roses Parade float, Always Remember, which paid homage to the Tomb of the Unknowns in Arlington National Cemetery in Virginia, received the prestigious Tournament Volunteers' Trophy for the best floral design of parade theme under 35' in length. 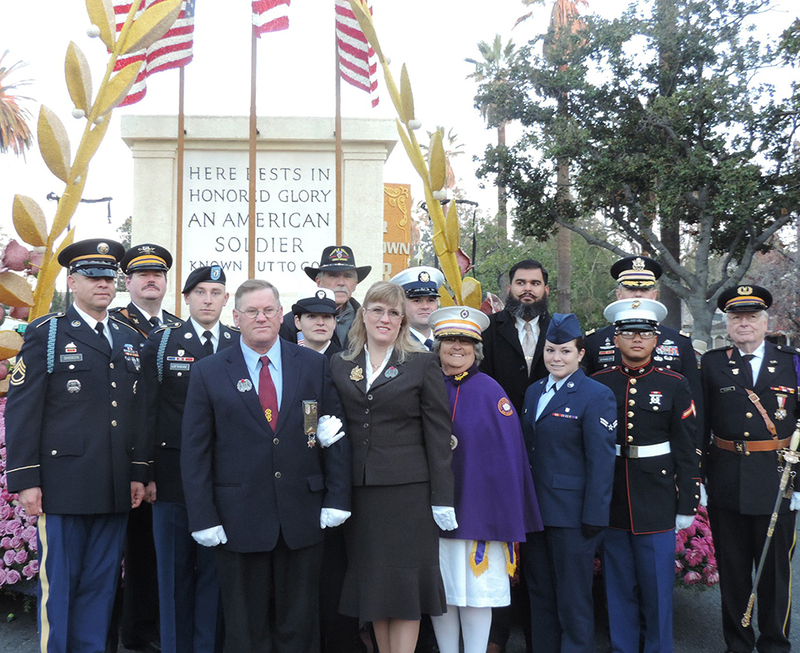 Walking alongside the float throughout its 5.5 mile journey while carrying wreaths were Tim Brown, Grand Master of the jurisdiction of California, Debbie Shuler, President of the Rebekah Assembly of California, Lady Ernestine Olson representing the Ladies Auxiliary Patriarch Militant (LAPM) and Captain Melvin Astrahan representing the Patriarch's Militant (PM). 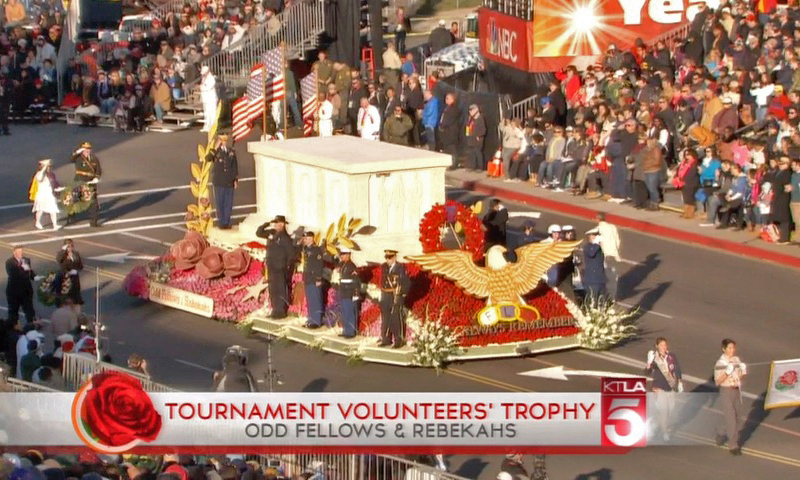 Among those riding the float are Gerald Poarch (showcasing the PM Grand Decoration of Chivalry), Liz Greenwood (Navy), Sarah Delaney (Air Force), William Lofthouse (Army), Clarence Alvarez (USMC), Daniel Martin (Coast Guard), Lloyd Johnson and Jonathan Andrade (wounded veterans organizations) and guarding the rear of the float, reprising their actual duties from 1989 to 1992, are retired Old Guard tomb sentinels Jeffrey Spangler and Stephen Shodeen. Follow this link to watch all the 2015 telecasts as shown on ABC, HGTV & KTLA.